James A. McAuliff has been working both in and out of Tulsa, Broken Arrow and Jenks courtrooms, with clients of all backgrounds and ages since 1985. 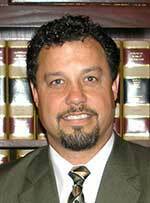 His practice includes Family Law, Personal Injury and Criminal Law, but he handles cases of all types. You can always count on him to take the time necessary to clearly explain your case's procedures and status so that you are up to date on every development at all times. As we understand that charges and matters of the law are often unplanned and happen without notice, he is available to discuss your case in a timely fashion. The sooner you have an attorney on your side, the easier it is to build a strong case in an effort to come to a successful resolution. The law office of James A McAuliff, Attorney At Law has been proudly serving the Tulsa, Broken Arrow and Jenks communities since 1985. Over the years, and based on increasing demand, my law office has expanded into various areas of the law to better serve our growing clientele. I am extremely proud to offer legal advice, legal counsel and representation in most any area of the law, and to most any client, from individuals to corporations. James A McAuliff, Attorney At Law welcomes your call or visit regardless of your legal situation or budget. Depending on the case and specific situation, we are in some cases able to represent some of our clients “pro bono” , or to offer very competitive or discounted rates for our legal services. In most cases involving monetary compensation, you do not have to give us a penny unless we prevail on your behalf. You have nothing to lose and everything to gain by calling us for advice or more information. At James A McAuliff, Attorney At Law, our utmost priority is to support and represent the community as well as the businesses located in the Tulsa, Broken Arrow and Jenks areas. No case is too big or too small for my law office. My office is happy to take on any case, from petty theft to corporation sized embezzlement, Family Law, Personal Injury and Criminal Law. Although no lawyer can guarantee results, I guarantee that my law office will not stop working on your behalf until we are satisfied that we have done absolutely everything in our power to bring resolution to your case.